With an inclination towards angel investing dating back to his time at London Business School, Ahmad Shehada’s fascination for startups-turned-billion-dollar- companies got heightened thanks to a course he took entitled “Private Equity and Venture Capital.” “My motivation to be involved in this space is deeply rooted in the nature and dynamics of startups, whereby every decision can alter the fate of the company, and have immediate impact on how the company succeeds or fails- especially in the early stages,” says the angel investor, who is an active supporter of several regional and global startups today, juggling it alongside a hectic (and exciting) career as a consultant for digital businesses. As an investor, Shehada has gone about building a varied, balanced, and, some might say, enviable portfolio of ventures. Shehada’s UAE portfolio includes Elevision Media, an out-of-home digital advertising company, and ReserveOut, a MENAwide booking platform for restaurants in the process of scaling outward. In the UK, he’s invested in crowd management analytics software Crowdvision, and infosec startup Pryvate Now. In the US market, his investments include those in Thrive Market, an online organic food market, and in Monolith, a retail in-store video analytics company. Asking Shehada about a common thread that connects these investments offers a peek into his investing psyche and gets him explaining his strategy- one that can well benefit those of you who are keen to make bets in the region’s upstarts. “My approach to seed or angel investing is the 80-20 rule,” he says. “80% weight of my decision to invest is squarely placed on the founders, and 20% on the idea of the startup.” With regard to the portfolio he’s built to date, Shehada says he generally sources his investments relying “on a peer network of like-minded angel investors,” who share his passion, and apply the same approach as him for scouting and identifying potential winners. As someone who rarely invests in startups that “have been shopped around,” Shehada prefers playing the waiting game on his potential investees, but once having invested, he plays an active role in the startup’s growth- be it as a board member, or as a mentor. The investor makes bets in startups that are “technology- centric and commercially driven,” with the ticket size of his investments ranging from US$20,000- 50,000 in seed to pre-series A rounds. 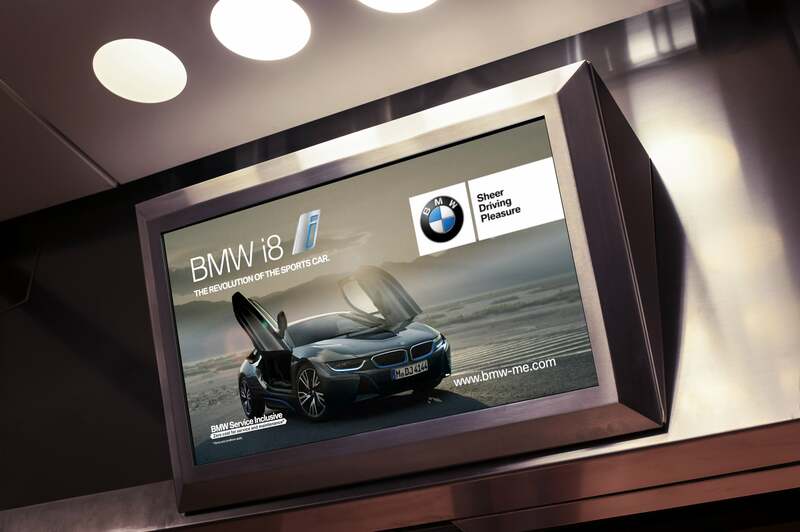 Elevision's screens in Dubai. Image credit: Elevision Media. And to help his portfolio companies and their teams get closer to deploying their solutions, Shehada says he typically has “a hands-on approach” to working with them. “The journey of founders is not only marked with challenges to overcome (such as financial and operational barriers to entry), but also faced with opportunities at the periphery of the core business model, and this is where entrepreneurs need external guidance,” he says. While this does indicate the empathy he has for the entrepreneurial community, it also perhaps makes him best suited to evaluate opportunities and assess risks as an investor, who is also an advisor and mentor to his portfolio entrepreneurs. This also allows him to provide the much-needed objective view that every hustler needs at various points in their journey. “In one instance, I discouraged a startup from pursuing an opportunity to diversify into a new product line/revenue stream, which could have potentially doubled the company’s turnover, yet would have commoditized their offering, squeezed margins, and diverted management team focus and bandwidth to short-term gains,” he remembers. 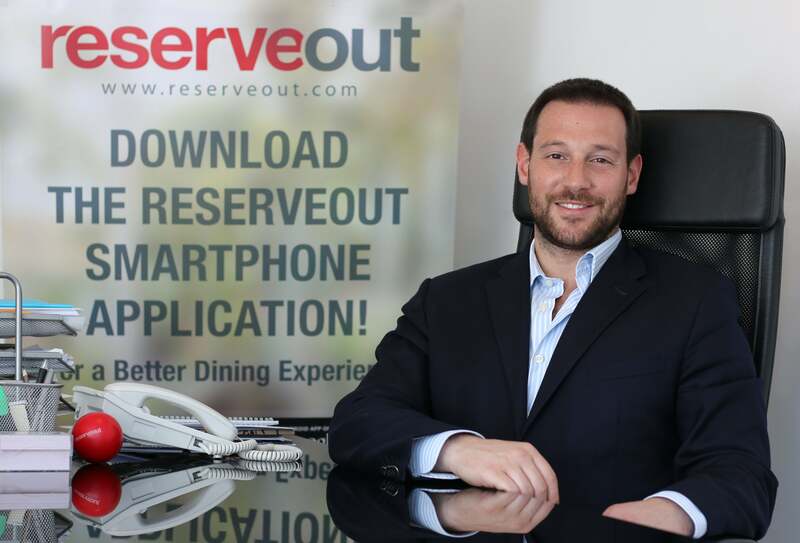 Khalil Shadid, founder, ReserveOut. Image credit: ReserveOut. With respect to the road ahead, believing that the status of early-stage investments has come a long way in the region, Shehada is confident that recent trends indicate an environment of “growing investor confidence and risk appetite,” when it comes to supporting upstarts in their seed and early stages. “Let’s not forget Berkshire Hathaway started as a textile company, Facebook was a ‘Hot Or Not’ rating website, and Tiffany’s sold paper before diamonds,” Shehada notes- all you need, it seems, is to keep your eyes on the prize.